Buschbaum C., Cornelius, A., Goedknegt, M. A. 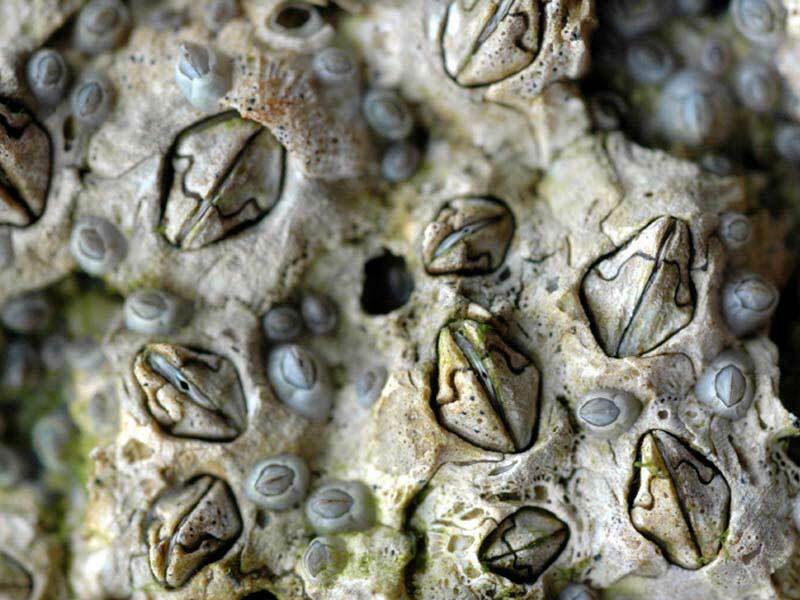 In sedimentary coastal ecosystems shells of epibenthic organisms such as blue mussels (Mytilus edulis) provide the only major attachment surface for barnacle epibionts, which may cause detrimental effects on their mussel basibionts by e.g. reducing growth rate. In the European Wadden Sea, beds of native blue mussels have been invaded by Pacific oysters Crassostrea gigas, which transformed these beds into mixed reefs of oysters with mussels. In this study, we determined the spatial distribution of M. edulis and their barnacle epibionts (Semibalanus balanoides) within the reef matrix. Mean mussel density near the bottom was about twice as high compared to themussel density near the top of an oyster reef, whereas barnacles on mussels showed a reversed pattern. 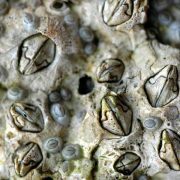 Barnacle dry weight per mussel was on average 14 times higher near the top than at the bottom. This pattern was confirmed by experimentally placing clean M. edulis at the top and on the bottomof oyster reefs at two sites in the Wadden Sea (island of Texel, The Netherlands; island of Sylt, Germany). After an experimental period of fiveweeks (April and May 2015, themain settlement period of S. balanoides), the number of barnacles per mussel was at both sites significantly higher on mussels near the top compared to near the bottom.We conclude that the oyster reef matrix offers a refuge for M. edulis: inside reefs they are not only better protected against predators but also against detrimental barnacle overgrowth. This study shows that alien species can cause beneficial effects for native organisms and should not be generally considered as a risk for the recipientmarine ecosystems.